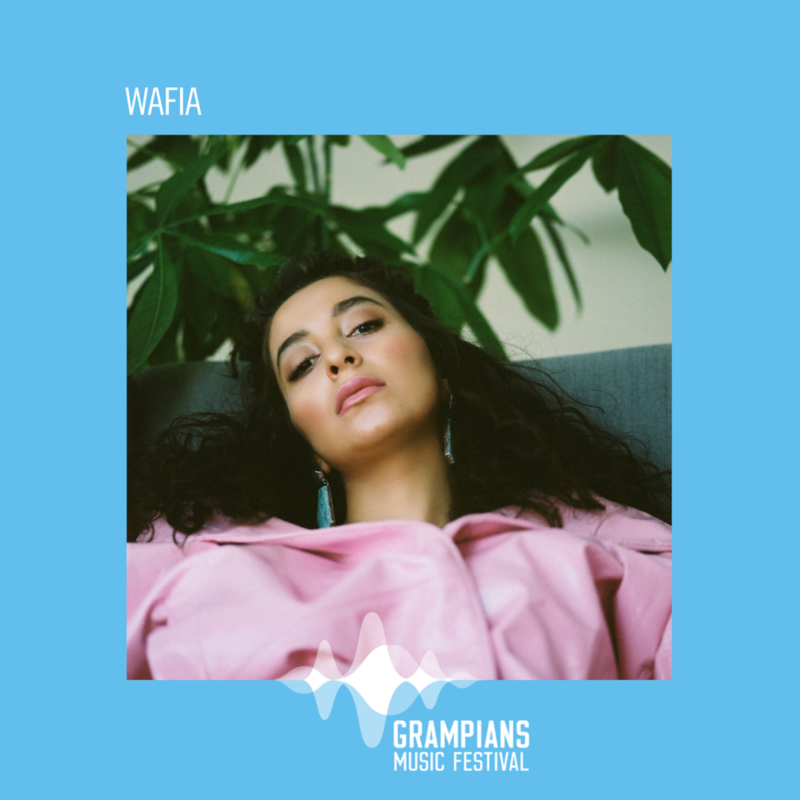 We recently hit the road and headed west for Grampians Music Festival, after spending a few months preparing the festival socially gearing up the third edition of the festival. The boutique experience was one not to be missed. 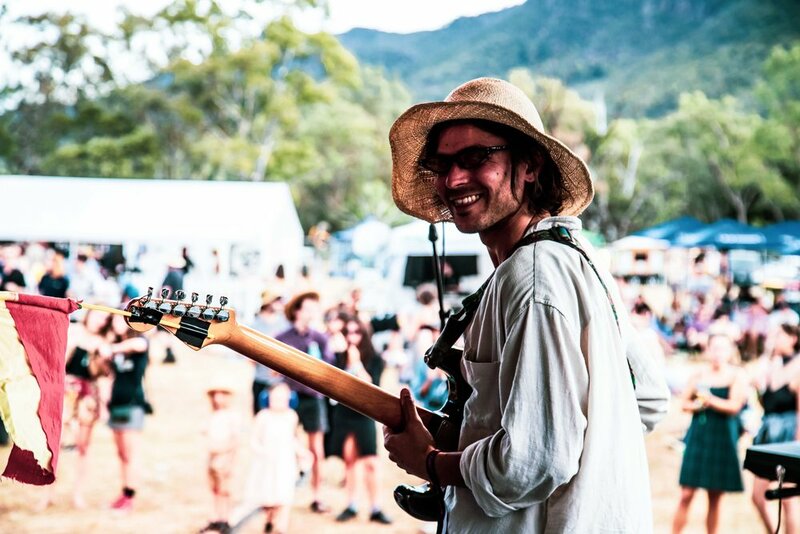 Surrounded by lush mountains, the Valley Floor witnessed stunning sets by an all-star local lineup including Sampa The Great, Angie McMahon, Wafia and Slum Sociable. In the months leading up to the festival we worked our magic on socials by making some sweet simple block artwork to show off their stellar lineup. 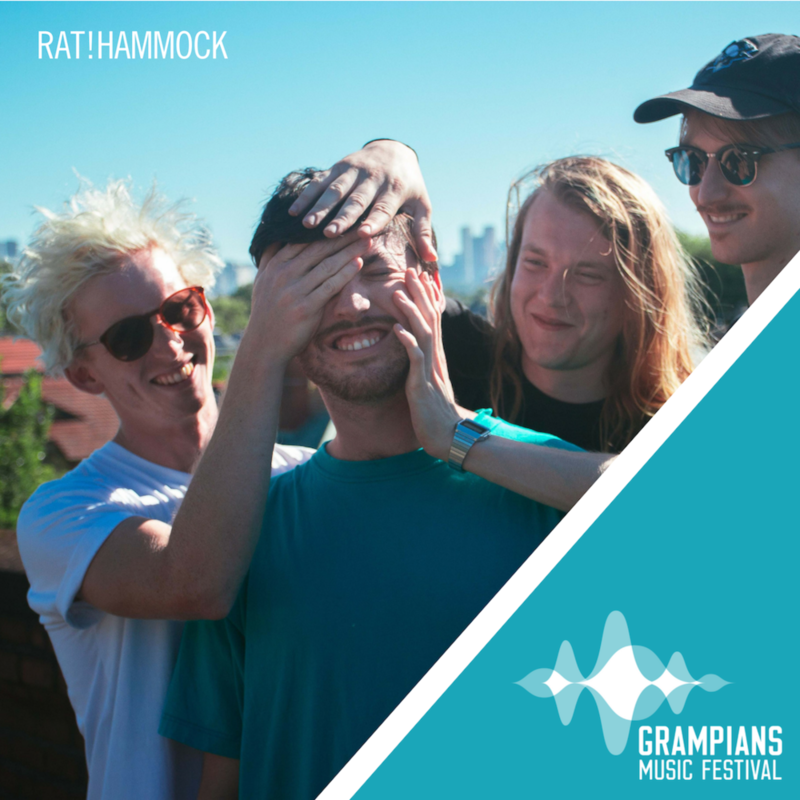 The GMF logo is included to represent both sound waves and the Grampians mountain tops. 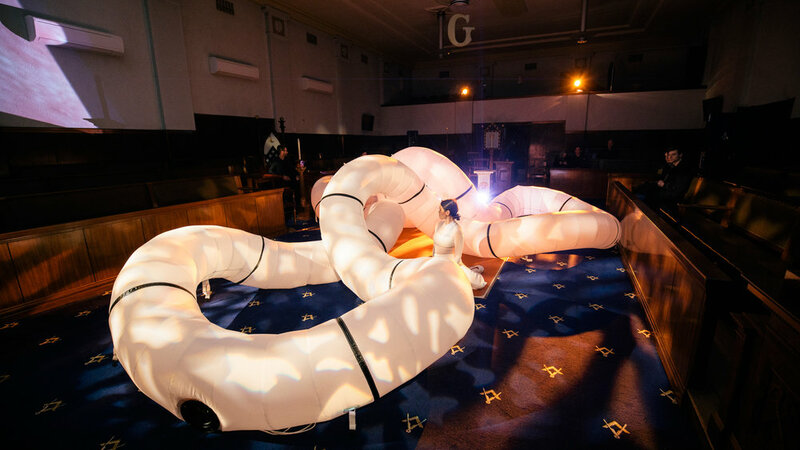 GMF delivered not only a musical experience, but a visual one too. GMF has a big focus being eco-friendly, and the punters took on the challenge to do their part too. Everyone brought their own refillable water bottle to minimise waste and there was a station to read about the impact our behaviour at home has on the environment. Simple changes like banning single use plastic can easily be achieved by larger festivals too, and we’re sure it won’t be long until this becomes the norm in the industry. 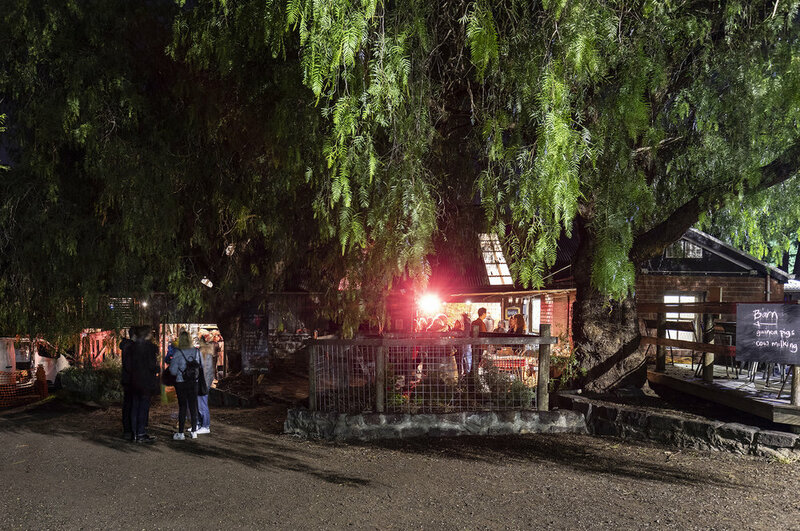 Besides the festival itself, Halls Gap is a beautiful place to spend a weekend. We enjoyed walks through the mountains, swimming in the lake and pool, and spotting the local wildlife at every turn. It elevated the weekend from being a music festival to a whole new experience. The music was something to behold too. Alice Skye was the perfect choice to open the festival, setting the mood nicely with her calming tunes echoing around the Valley Floor. Alice stopped a couple of times during her set, to talk about issues like mental health and the need for law reform in Victoria’s police. It was inspiring to see such a young artist use her voice to inspire change in the community. 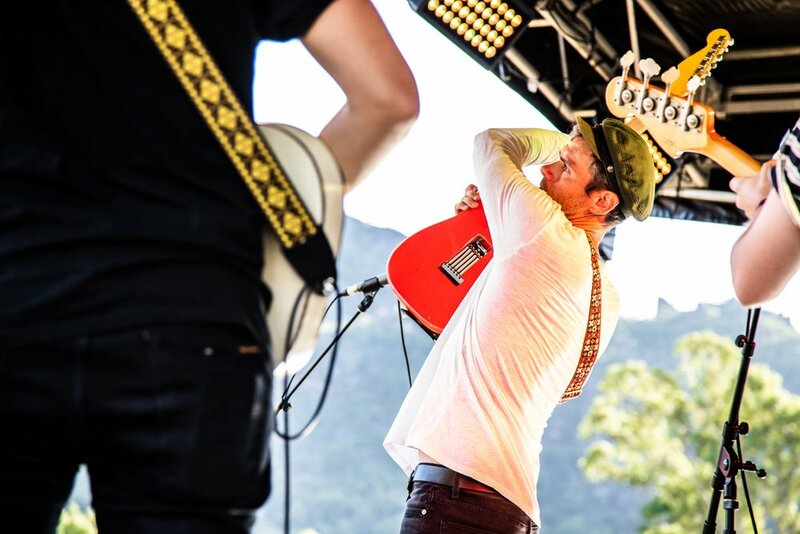 GMF is a family-friendly festival, and electronic up-and-comers Huntly were a hands-down favourite amongst the young ones. They had every kid dancing at the front and even sharing some of the singing. There was something for the rest of the audience too, as front-woman Elly joked that she was a little hesitant to sing to kids about “existential angst”. 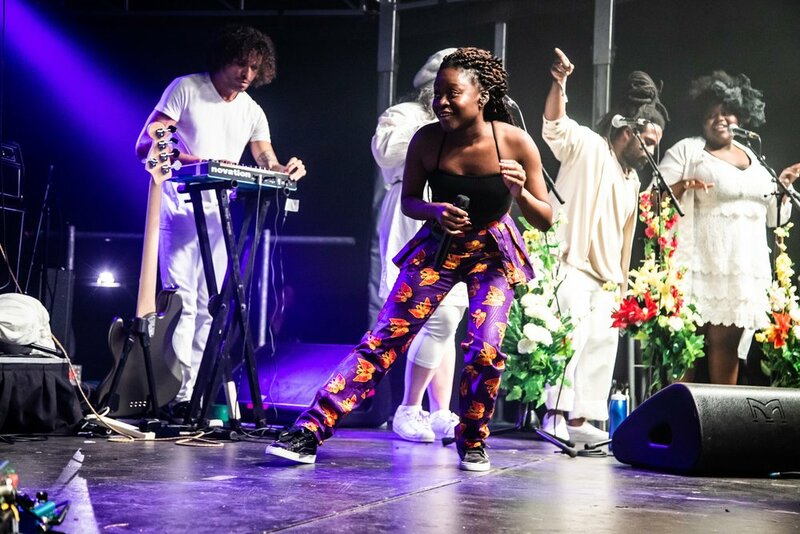 The undeniable highlight of the weekend was Sampa the Great, who headlined Saturday night with her full live band, complete with back-up dancers. The show stopping set had an amazing response, everyone clearly stunned by Sampa’s enormous stage presence. 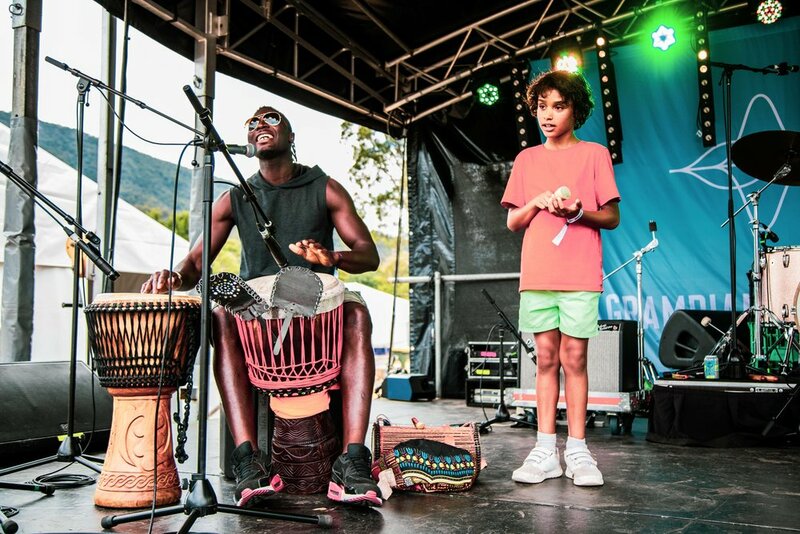 While we take live music for granted, a festival like this is rare for a place like the Grampians, so it was touching to consider the fact that this would be many kids’ first experiences of live music. Create it. Love it. Do it. We had the pleasure of launching the very new & very fabulous Australian College of the Arts - Collarts. Collingwood Campus, a specialist college for the creative sector. Inspired by a quote by Henri Matisse "Creative people are curious, flexible, persistent and independent with a tremendous spirit of adventure and a love of play" we added a touch of fun, bursts of colour, and turned up the volume (even louder than normal)! 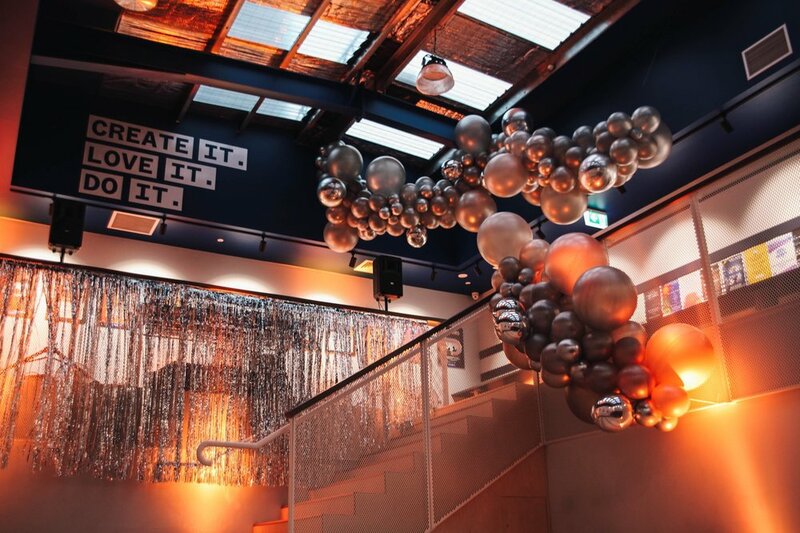 Invited to share the evening, teachers, creative industry and alumni enjoyed delicious catering by the ever fabulous team of Fred and Ginger Catering, topping up glasses with Pommery champagne and local organic craft brewery, Mountain Goat for the celebrations. Classrooms we transformed for student showcases, a shop popped up in the library, PBS 106.7 FMs MzRizk took care of the beats, guests got stuck into custom-designed dessert Bowie cake-pops, we added bright and beautiful blooms and dropped in some campus tours for good measure. After viewing a clip of a showcasing student artist, Toyah Hoeztel’s set at Gay Times 2018, we knew just how to shine a light (or strobe) on this up and coming producer. Lights went off in the theatrette and switched them to ‘Discotheque’. 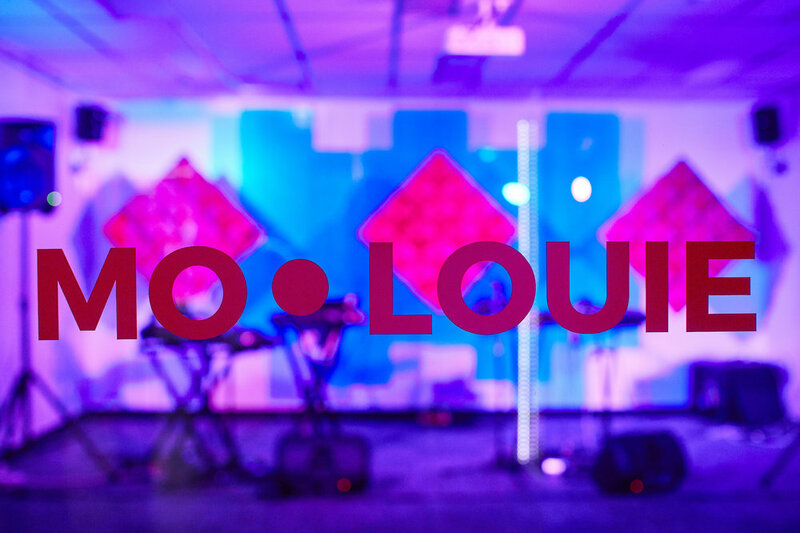 Drawing on the metallic goodness of the 80s, we custom built a stage set which featured reflective mylar panels up-lit with pinks and purple spots, strung linear triangle shapes beaming a black UV light to highlight the angles, and we achieved the psychedelic glow we were after. A stage set influenced by New York’s summer concert staple, WarmUp PS1 by MoMA, hand-inked hot pink paper diamonds, sourced direct from Philadelphia (gap in the market people! ), teamed with 1.8m slices of blue neon perspex added and a simple yet dynamic hanging drop for student performer, MoLouie. 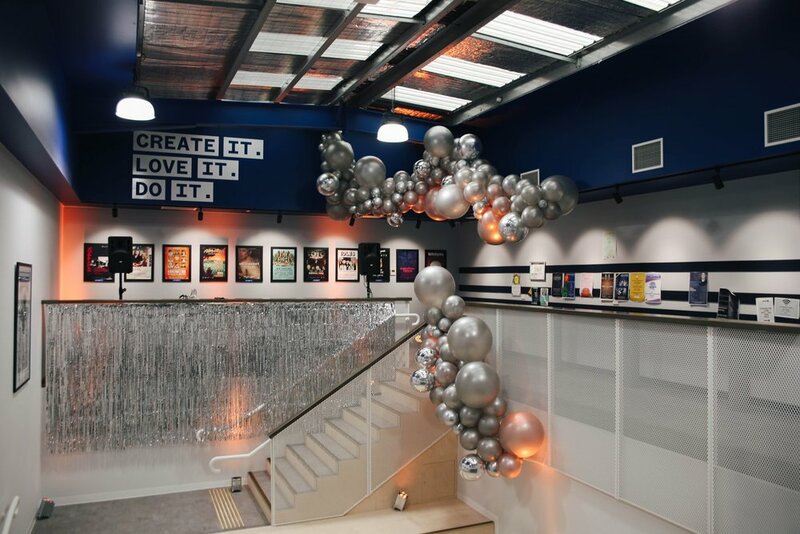 The main reception area, normally the student ‘hang’ space, was dressed with a metallic, pearl balloon installation, metallic curtains (cant get enough), electric blues and bright florals and a spot of branding inspiring all to Create It, Love it, Do it. They loved it so much, our metallic curtains and signage lives on! 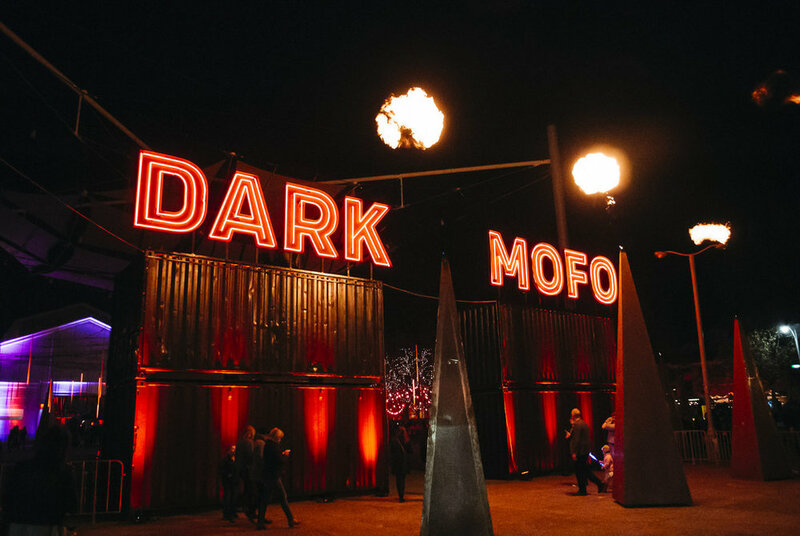 Dark Mofo, Hobart's Museum of Old and New Art's winter festival, delves into centuries-old winter solstice rituals, exploring the links between ancient and contemporary mythology, humans and nature, religious and secular traditions, darkness and light, birth, death and renewal. 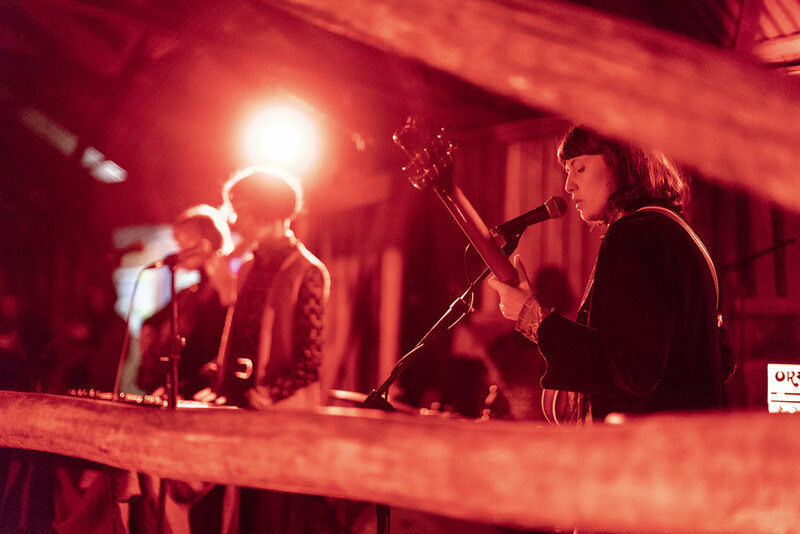 Welcome Stranger is an arts / music event which invites visitors to venture behind the closed doors of private societies, reclaimed venues, hotel rooms and sacred spaces, and into an intimate, travelling, temporary community of late-night live music, optional sports and non-optional art. Carlton Gardens and the Royal Exhibition Building was not a bad place to rock up to work every day on pre-production of Melbourne's reimagined and transformed light and art event, White Night. Our third production with the White Night team, Flames and Fantasy Precinct was home to major installations for motion designers and mappers, Artists in Motion, Eness' interactive sonic bubble, Alex Sansons kinetic sculpture Nebulous and Mad Max fire instrument played with what looks like massive thongs (true story) Pyrophone Juggernaut. The creatives we have the pleasure of working with on this event amaze us every year. Our favourite yet. Check out our White Night feature. 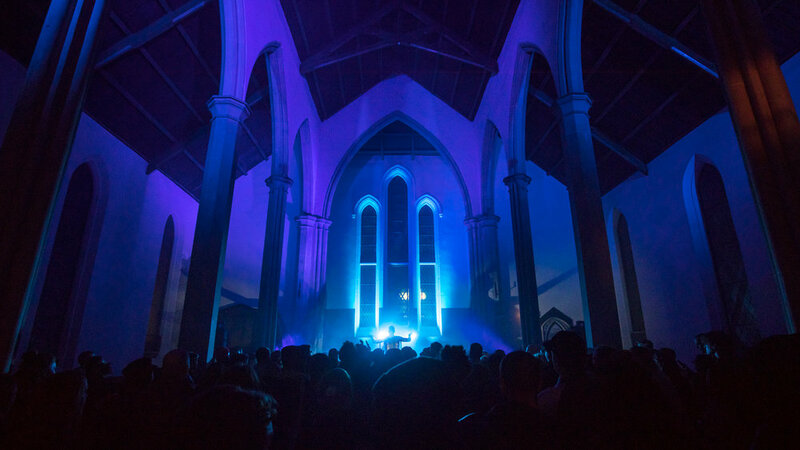 White Night Melbourne is the city reimagined and transformed under the ephemeral cloak of night. 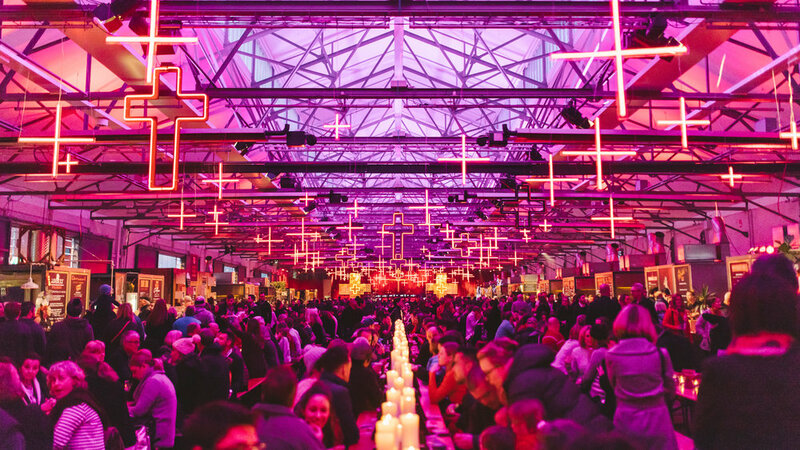 With attendance of up to 450,000, for one night only, from dusk ‘til dawn, national and international artists, musicians and performers set the city’s streets, parklands, laneways, public spaces and cultural institutions alight in a celebration of creativity. We have managed onsite production in 2014, 2015, 2017 and 2018 (one of just eight senior staff and often representing the ladies) and have had the opportunity to work with the best in the business, specifically large-scale projections and motion graphics. 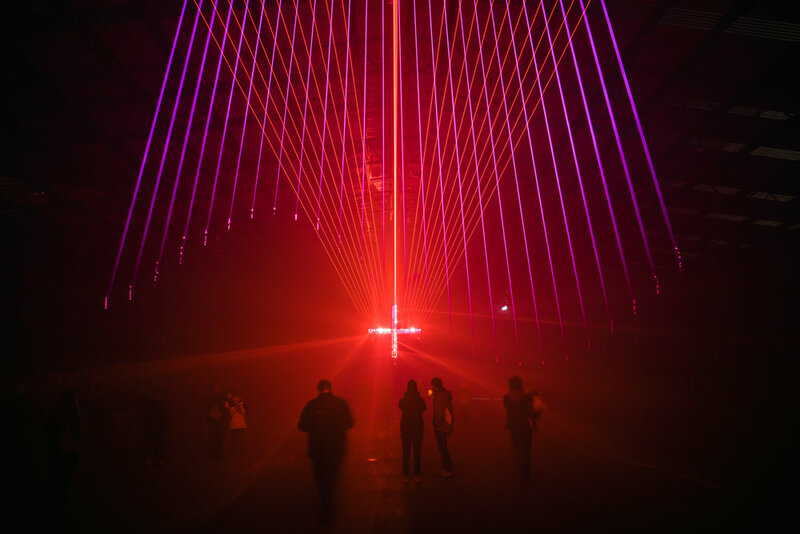 Collaborating with skilled professionals to ensure a smooth running showcase of projection mapping, multi-media displays, interactive installations, VR, kinetic structures and technical expertise.